Super Bowl tickets are super expensive, as always, but the average resale price is about $1,000 less than at this time last year. And the price of admission to the big game has been dropping steadily since Sunday, when the Patriots won the AFC Championship. Again. The average asking price on the secondary market is $7,078, according TicketIQ, a New York firm that aggregates tickets from multiple vendors. That’s an eye-popping sum but a relative bargain, compared with last season’s rate of more than $8,000. In any team’s fan base, there are only so many households that can afford a Super Bowl trip. Even among those few, it might be a once-in-a-lifetime indulgence. 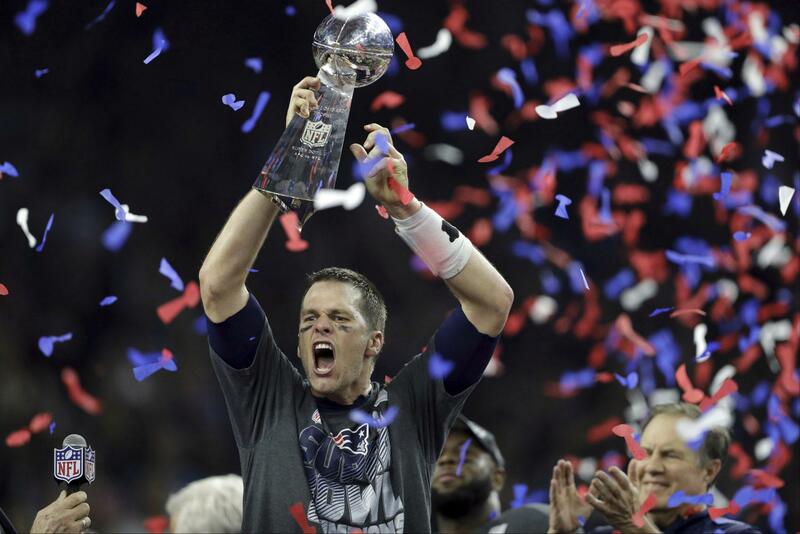 “For lots of Patriots fans, that once-in-a-lifetime thing has already happened,” said Victor Matheson, a sports economist at the College of the Holy Cross. The Pats are playing in their ninth Super Bowl since 2002. Matheson and Lawrence noted the Patriots’ opponent, the Los Angeles Rams, only recently returned to that city, after a 21-season hiatus. The Rams do not have the passionate following in L.A. that the the Pats’ last Super Bowl foe, the Eagles, have in Philadelphia. With Rams fans still developing and some Patriots fans tapped out, ticket prices could continue to decline, Lawrence predicted. Fans who do go to the game in Atlanta may have to spend any ticket savings, relatively speaking — and then some — on lodging. The host city’s hotels are virtually sold out, enabling homeowners to command premium prices on booking sites like Airbnb. Real estate broker Kianya Campbell owns or manages 13 residential properties within walking distance of Mercedes-Benz Stadium. She’s listed a three-bedroom house for more than $3,000 per night on Super Bowl weekend; a condo goes for about $2,500. Her prices are not out of the norm for properties so close to the stadium. Campbell is a fan of the Falcons, the team the Patriots beat in a Super Bowl two years ago. But she is willing to rent to Pats fans. It's a meeting of two truly American pastimes: football and lawsuits. Late in regulation in Sunday's NFC championship game, the New Orleans Saints were tied 20-20 with the Los Angeles Rams in pursuit of the Super Bowl. And in Atlanta, where the Super Bowl takes place Feb. 3, Saints fan Matt Bowers bought a smattering of billboards to convey his hurt feelings. 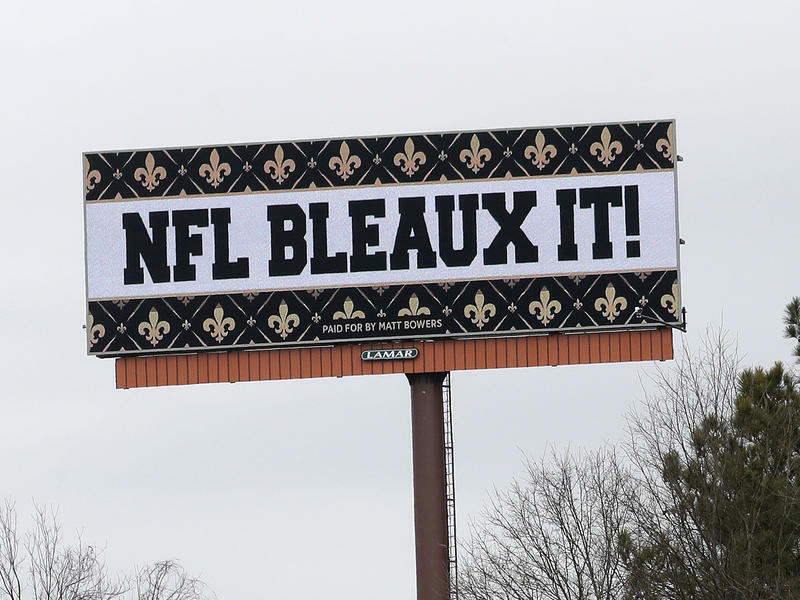 "NFL Bleaux It!" proclaims one. "Saints Were Robbed," cries another. Have a penchant for Louisiana-style outrage? Get in touch with Bowers.